It’s already August! And before you know it, the aspens will be turning that beautiful yellow color. Did you do everything you wanted to this summer? Whatever your response, everyone can always use a little more fun. These five late summer events in Carbondale and Glenwood Springs give you the perfect opportunity to do just that. 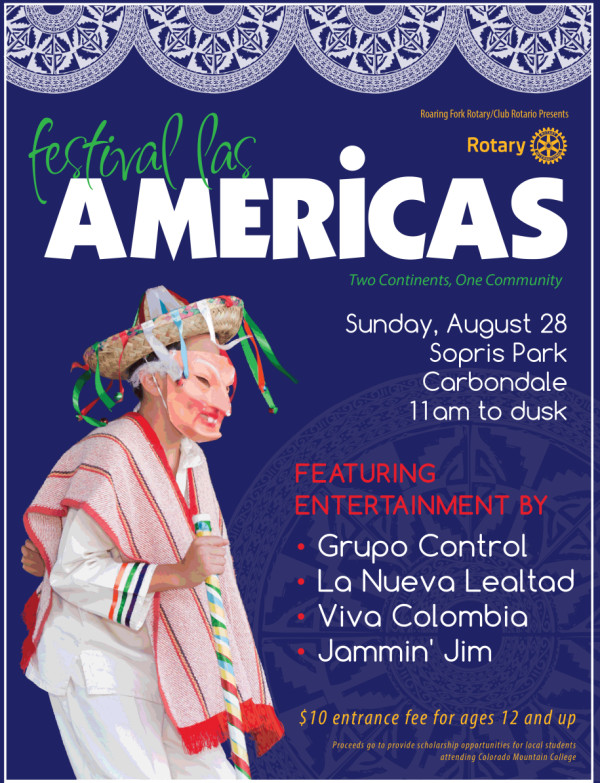 A fundraiser for the Roaring Fork Rotary Club and their scholarship program, the Festival Las Americas is a celebration of the rich cultural traditions of North and South America. Expect live music, artwork, delicious ethnic food, and family-friendly activities. Performers at this year’s 15th annual festival include Grupo Control, La Nueva Lealtad, Viva Colombia, and Jammin’ Jim. Check out Festival Las Americas at Sopris Park from 11AM to dusk on Sunday, August 28. 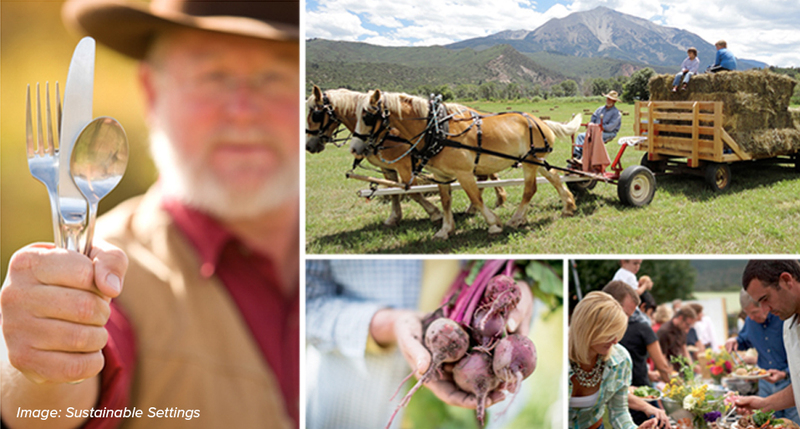 At the Sustainable Settings Harvest Festival, prepare yourself for an evening of local gourmet food and live music. The Harvest Benefit Dinner and Dance is from 4:00-9:00PM on Saturday, September 17. Tickets are $150 per person, and kids 12 and under are free. Dinner will be prepared by some of the Roaring Fork Valley’s top chefs, including Mark Fischer and his kitchen crews from Town, Phat Thai, and the Pullman; Chris Lanter of Cache Cache; and Will Nolan of 8K. Sustainable Settings is located about 5 miles south of downtown Carbondale. 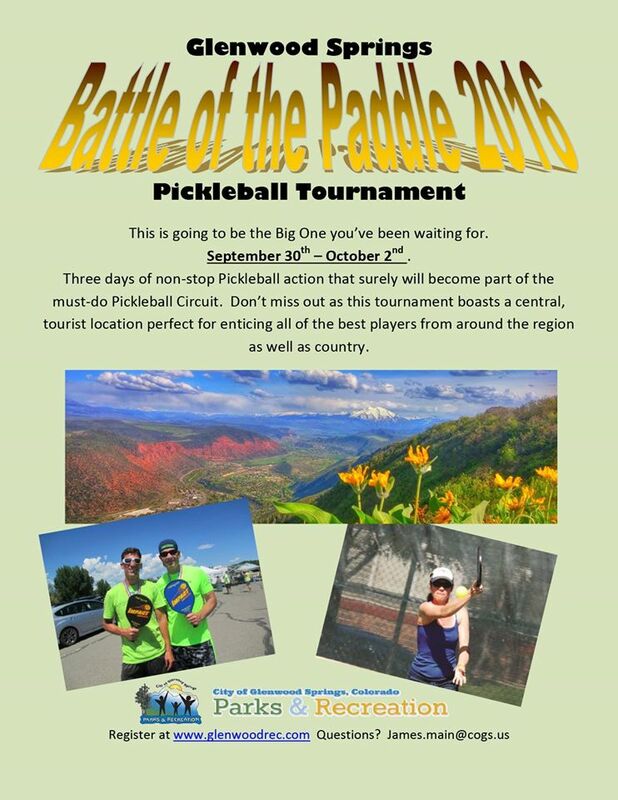 Pack your pickleball gear, and head to the inaugural Battle of the Paddle 2016, a pickleball tournament hosted by Glenwood Springs Parks and Recreation. If you’re interested in playing, you can sign up with the Glenwood Parks and Rec department. Brackets include singles, doubles, and mixed doubles. If you’re more a pickleball spectator, you can cheer on the players at the Glenwood Springs tennis courts at the Glenwood Springs Community Center. Get outside and get moving to support cancer patients undergoing treatment at Valley View Hospital’s Calaway Young Cancer Center. You have the option of a 25 mile bike ride, 4 mile walk through downtown Glenwood Springs, or 1.5 mile family walk known as Peyton’s Parade. After touring Glenwood by foot or bike, check out the Rally Party at Sayre Park. There will be plenty of yummy food, a beer garden, and kids’ activities. Registration for the bike ride and walks starts at 8:30AM at Sayre Park on Saturday, September 24. The ride and walks begin at 10:00AM. Who can resist a baked potato overflowing with melted cheese, sour cream, and butter? 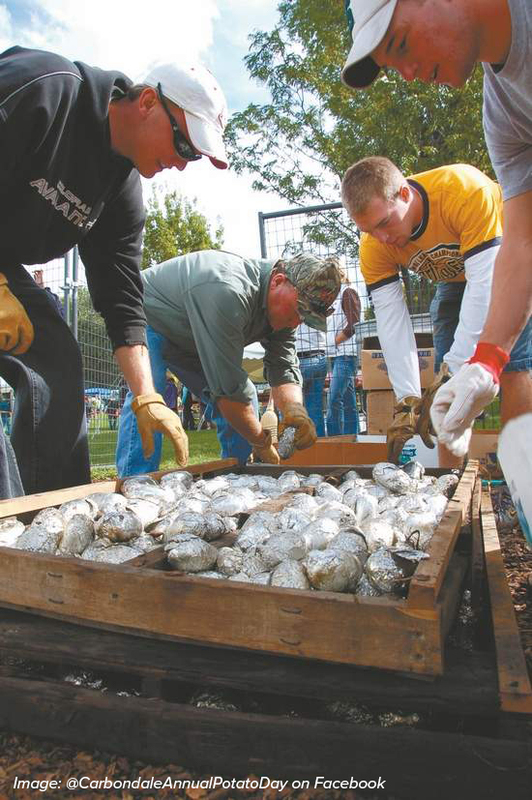 You’ll get your fill of potatoes at Carbondale’s Annual Potato Day—held since 1909—on Saturday, October 1. Visit the potato bar, and load your baked potato with delicious fixings that go way beyond the dairy variety. Also, expect a silent auction, live music, a BBQ cookout, and kids’ activities all at Sopris Park. And don’t miss the potato parade on Main Street! Do you have questions about Carbondale and Glenwood Springs real estate? Lynn and the team at Amore Realty would be delighted to discuss buying or selling a home in the Roaring Fork Valley with you. Call 970-379-4766, or fill out our contact form.